A high quality center stand just makes life easier for any motorcycle owner. Weather it is lubing the chain or simply finding the rear valve stem to add air. Access to left side luggage becomes a little easier and packing the bike for a trip just seems to go smoother as nothing rolls off the seat onto the ground. And if you need to remove the back wheel (or even the front wheel) for tire replacement or balance, a center stand becomes almost mandatory. 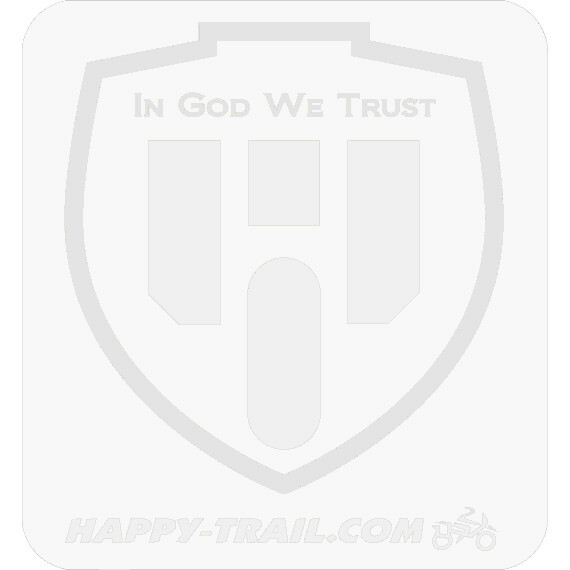 This Happy Trails Products center stand reflects two-years of research and development. In designing the center stand our goal was to produce a product which was best in class for the following criteria: Ease of installation, Ease of use - in getting the bike on the stand, Ground clearance - the most possible, and Lightweight (3 lbs.) with minimal flex. We feel we have succeeded on all points. Center stand allows the rear tire to clear the ground in most combinations of suspensions and tires. It works with aggressive tires and road tires. Limitations and Incompatibilities: Not compatible with LOWERED versions of F650 and 700GS due to difficulty getting onto the stand. Also not compatible with F800GS due to higher frame. Would this stand work on a factory lowered 2014 F800GS?